There will be pre-conference workshops on the day before the congress (Saturday September 7th). These professional development training classes will be taught by several EI experts (professional consultants, researchers, and professors) and will qualify participants to receive a professional training certificate issued by the International Society for Emotional Intelligence, Inc. There will be a 2-hour MORNING session with a choice between 2 workshops, a lunch break, then a 2-hour AFTERNOON session with a choice between 2 workshops. (A)- Emotional Intelligence: History, Development, and Current Issues (recommended for those new to the EI field or those who want an general overview). (B)- Measurement Issues in Emotions and Emotional Intelligence Research (recommended for those conducting assessment, evaluation and research). (C)- Conducting Emotional Intelligence Research (Especially designed for doctoral students and new researchers and will provide supervision and feedback on your current studies). The fees are $75 USD for any ONE workshop and $125 if you want TWO (one morning and one afternoon workshop). Workshops are opened to anyone interested participants even if you are not attending the 3-day conference. Register for the Preconference workshops on the registration page, then send an e-mail to info@icei2013.org indicating which of the workshops you wish to attend. Be sure to include your name and affiliation as you wish it to appear on your professional training completion certificate. This workshop will examine the historical roots of the emotional intelligence (EI) construct and track its development to the current time. The relationships of EI to general intelligence (IQ), social intelligence, multiple intelligence and personality theory will be examined. 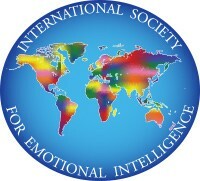 The major models of EI (abilities-based, trait-based, competencies, and mixed models) will be compared and contrasted. Current issues and challenges in the field will be discussed such as (a) measurement methods (b) the distinctions of EI from mixed or blended models (c) mis-conceptions, non-scientific uses and marketing of EI (d) applications of EI and (e) future trends and possible evolution of EI. The workshop will be taught by Dr. John Pellitteri, Queens College, City University of New York. John is the president and co-founder of the International Society for Emotional Intelligence and the ICEI2013 conference organizer. This workshop will first examine differences in the conceptualization of emotions (as discrete categories verse dimensions of activation and valence) and the challenges in the measurement of emotions (physiological, self-report, and behavioural observations). From this broader perspective of emotion research, approaches to measuring emotional intelligence (performance-based, self-report, and 360 observations) will be examined. The major measurement instruments in the field (MSCEIT, EQi and ECI) will be reviewed. The use of EI measurement in research and in applied fields will be discussed. Current development and future trends in EI measurement will be addressed. This workshop will be taught by Dr Tabassum Rashid, Associate Professor, Department of Psychology at Effat University, Saudi Arabia. Tabassum is currently serving on the ISEI Board of Directors and ICEI2013 Scientific Committee. This workshop is designed to help PhD students and new scholars with their research at any stage in their doctoral studies, be it in the early stage of finding a promising research idea and developing theory, the middle stage of finding a rigorous design for testing the idea and analysing data, or the late stage of writing up the findings and submitting papers for publication. The workshop will begin with a brief introduction on the current stage of research in the EI field and then move on to discuss how to make contributions in the current research climate. Next, each participant will get the opportunity to briefly present their work and then, embedded within a collective learning process, receive extensive feedback from both the participants and the instructor. Finally, we wrap up the workshop with a Q&A session during which we share insights on how to have an impact on the future developments in EI research. Upon registration, students are invited to submit a 1-page abstract about their work, a 1-page graph of their model (if one exists), and 1 page with questions they would like to get answered. The documents will be reviewed by the instructor and serve as a basis for feedback and the Q&A session. The deadline for submission of these documents is the 4th of September 2013, and the documents should be submitted to j.menges@jbs.cam.ac.uk. The workshop is taught by Dr. Jochen Menges, University of Cambridge. Jochen is a Consulting Editor of Emotion, a member of the ISEI executive board, and a supervisor of several PhD students. This workshop will explore issues and strategies for using EI in organizational consultation and coaching. It will address questions such as: (a) Who is recommended for executive coaching in an organization? (b) What assumptions and psychological theories guide the work of the consultant/coach? (c) What specific skills can a coach use to develop the consultant-consultee relationship? (d) How can the emotional challenges of the coaching situation be explored and used in the learning process? (e) How does the coach generate new behavioral patterns and increase emotional skills? (f) How can EI be used at a small group level with teams in addition to individuals. Examples from the field will be used to illustrate how EI assessment can guide the coaching process and how these measures can be used in combination with self-evaluations and personal explorations. This workshop will be taught by Professor Alessandra Gonzaga, of the Senac Management School in Brazil. Alessandra holds masters degrees in psychology and business. She coordinates the program “EI Leaders” for evaluation, training and developing emotional intelligence in organizations and has many years of experience as an executive coach and instructor.